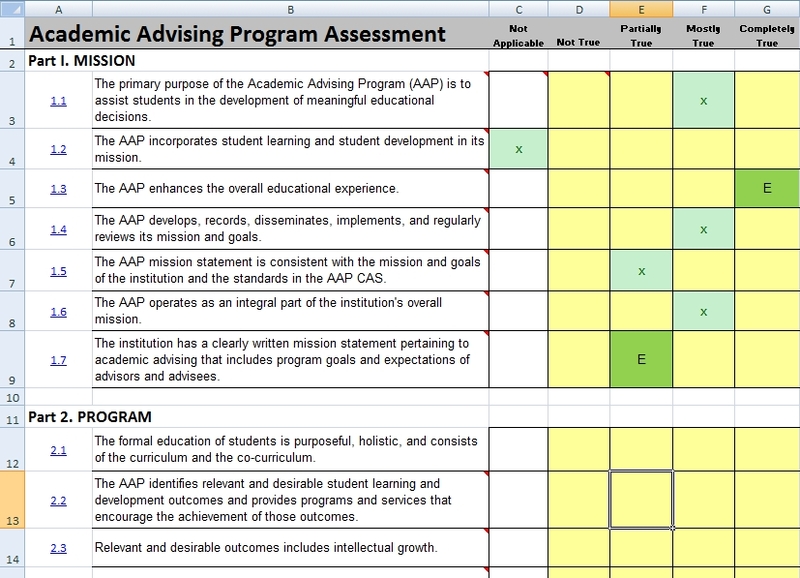 he Academic Advising Program Assessment (AAPA) is a software tool I created that uses the standards and guidelines for academic advising programs as defined by the Council for the Advancement of Standards (CAS). It is intended to enable the assessement of each line of the CAS standard and indicate if evidence is available for the assessment or if the assessment is opinion. NACADA links to my software in their clearinghouse under “Academic Advising Program Assessment worksheets using CAS standards available to NACADA members without cost.” I am proud to say that hundreds of schools have downloaded the software. 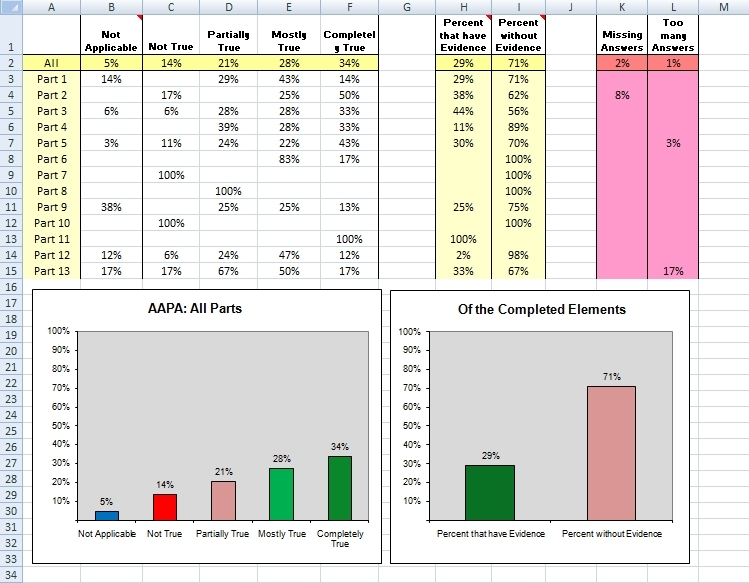 NACADA has many resources to help you understand and perform an assessment of your advising program. Here is a good article to get you started in this fascinating subject.